Project management. Anytime, anywhere. Even offline. 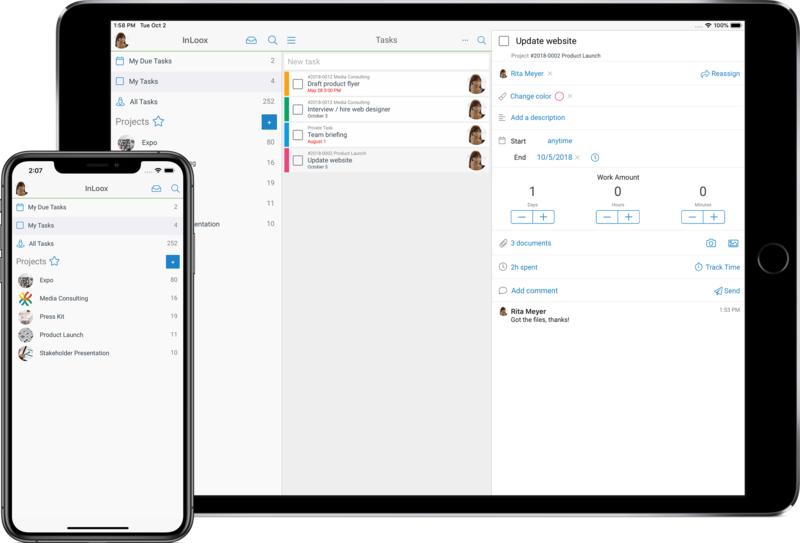 Work offline and keep track of all your tacks and projects — this makes planning and coordinating very easy. Keep track of your own tasks anywhere and anytime — so you don't miss any important deadlines. 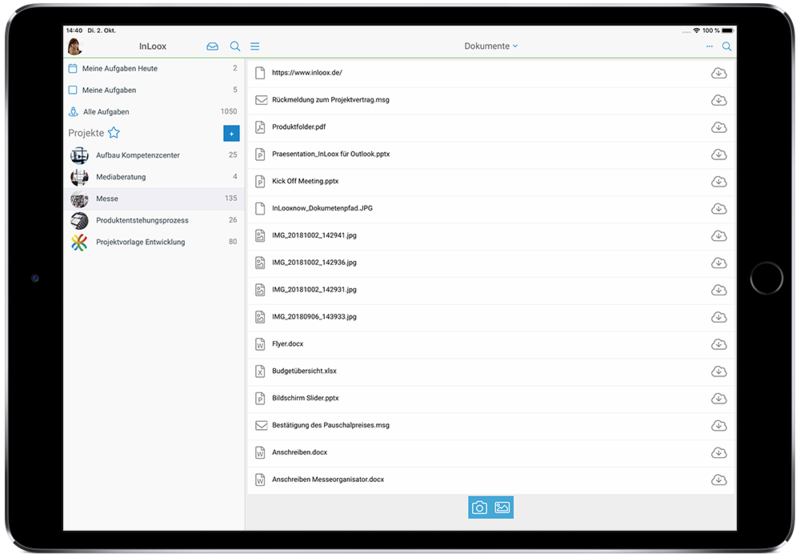 Upload project documents directly from your smartphone — and stay organized without additional effort. Track your time as you go and have a complete documentation of your project work hours. 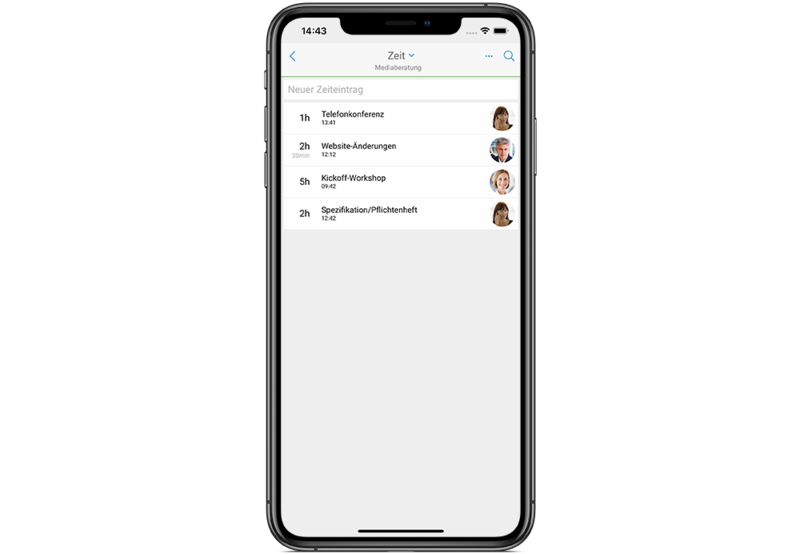 Hinweis Sie benötigen ein InLoox now!-Konto oder eine InLoox PM Enterprise-Lizenz mit Universal User um InLoox Mobile App zu nutzen. Tasks, projects, everything - this is also true for the InLoox Mobile App. Users have full access to their projects and tasks. 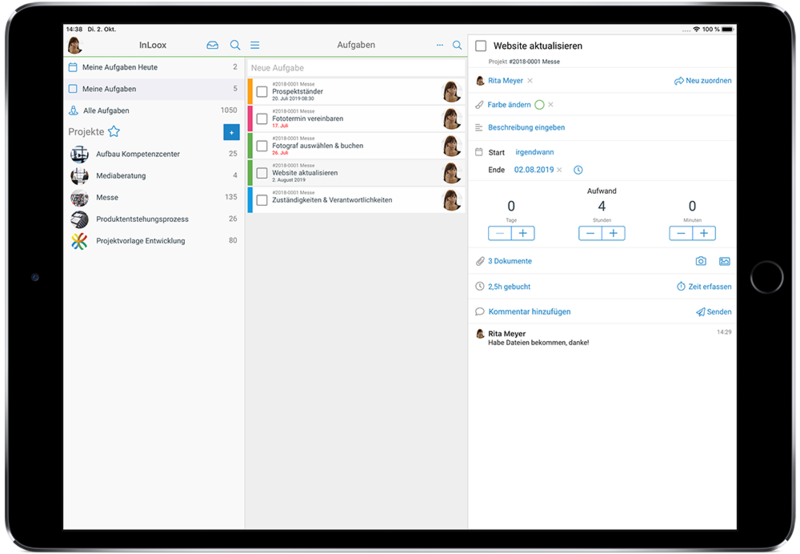 They can upload documents and assign tasks, as well as track their project times and book them to project tasks. 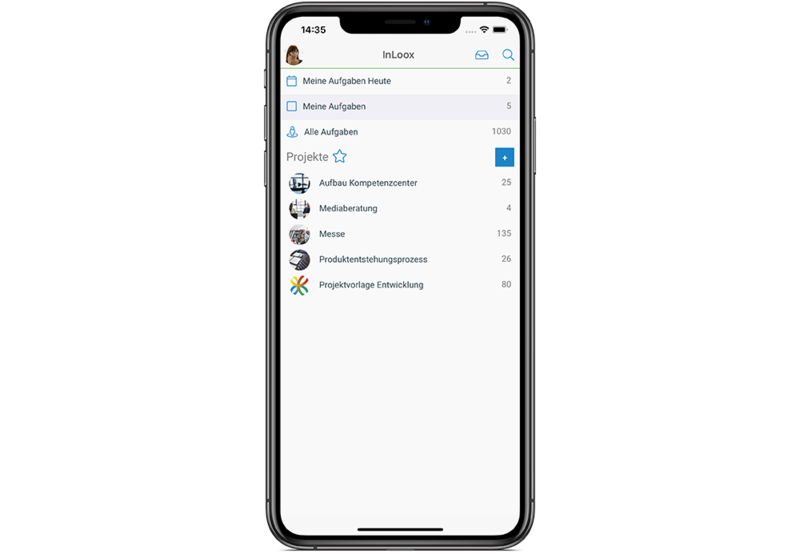 InLoox Mobile App - InLoox • Copyright 1999-2019 © InLoox GmbH. Tutti i diritti riservati.